To access a Cosmos DB instance, you should obtain the proper credentials from your administrator. In particular you'll need to know the URI and Access Key. 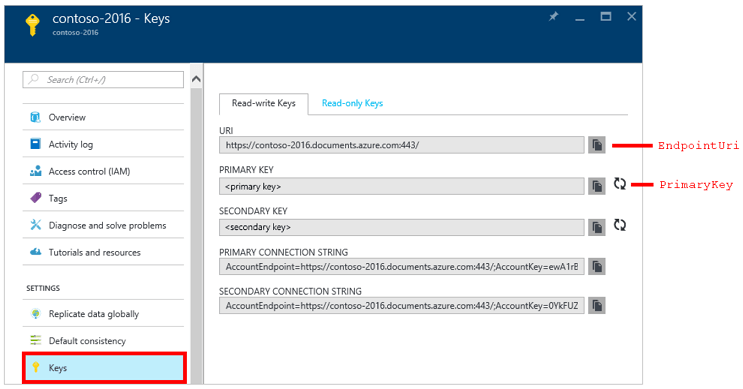 Go to the Azure portal to retrieve your URL, port number, and Primary Key. 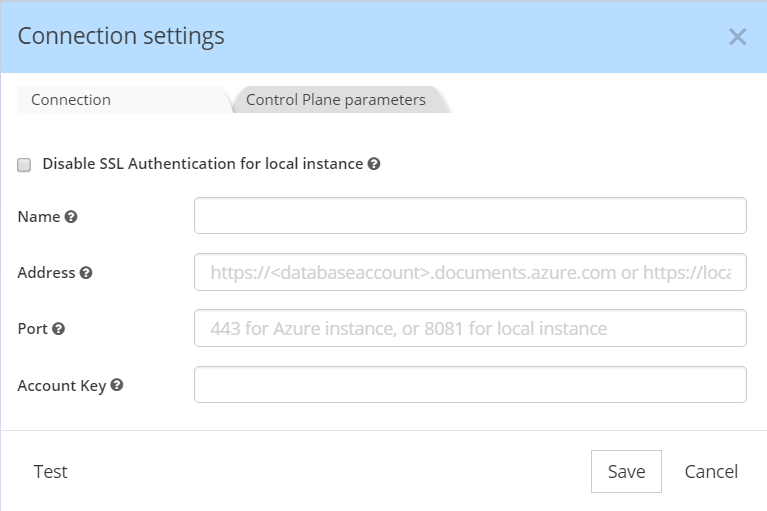 In the Azure portal, navigate to your Azure Cosmos DB account, and click on Keys. Copy the URI from the portal and paste it into <Address> (without the port number), then enter the port number into <Port>, and finally copy the PRIMARY or SECONDARY key, either Read-Write or Read-Only, and paste it into <Account Key>.